There's not much I get more excited about this time of year than a good picnic. What better way to spend the extra day of this long weekend than lazing about in the park with friends and food? So make yourself a Pan Bagnat, and don't forget an ice pack for the prosecco. For more inspiration, check out my Picnic Design board. 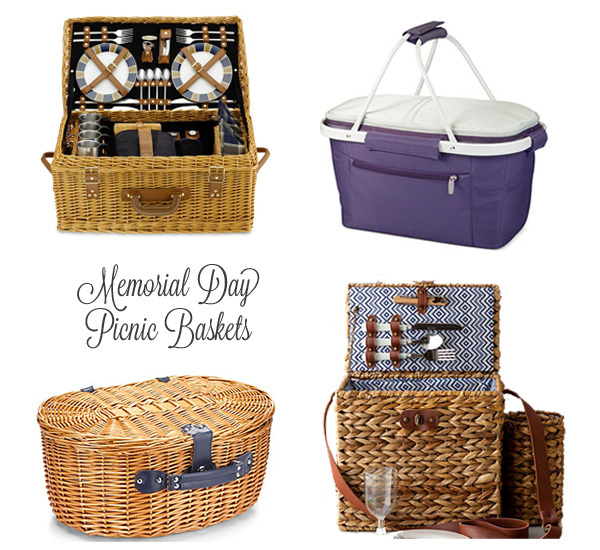 Top: Williams Sonoma Wicker Picnic Basket - I love this one because most are designed for 2, but this one is for 4. Not all picnics have to be romantic! | Insulated Picnic Basket | Bottom: C.Wonder Picnic Basket | Terrain Picnic for Two - this one is just gorgeous - I love the lining, attached wine carrier and leather strap.